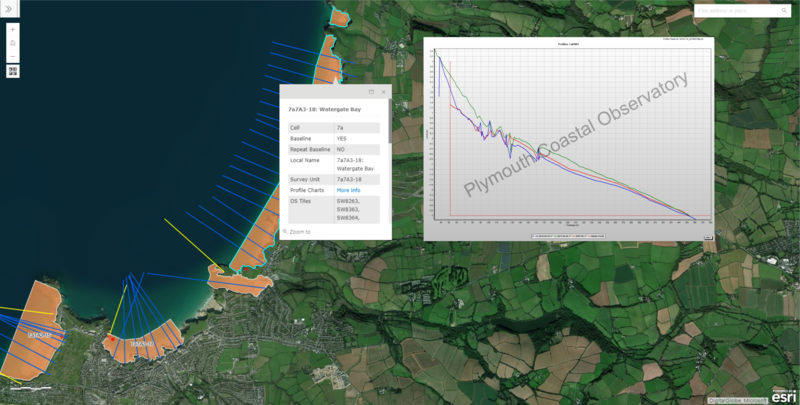 Scroll around the map below to view charts from our latest topographic surveys and witness diagrams for each of our control points. You will also be able to display shapefiles that will aid you in the data download from our Data Catalogue. To zoom to your location of interest, just type the name of the site in the search bar. For explanatory notes click the symbol in the top right corner of the map or visit our User Guides section. To display the map in full screen mode, click the button. We will be updating the profile charts every time new data comes in, so make sure to check back for the latest updates! Did you know you can also display the PCO Map Viewer on your mobile device by downloading the Explorer for ArcGIS app? Available on the Play Store and App Store.